Tea is pretty much a big part of Asian culture. Tea ceremonies are practiced in various parts of Asia including Vietnam and India. The act of appreciating tea in a ritual-like manner seems to have originated from China and then influenced neighbouring countries like Japan and Korea. China, India, and Vietnam are some of the biggest tea producers in the world. But it seems like the art of tea-drinking is somehow lost to the present-day urbanites and millennials. 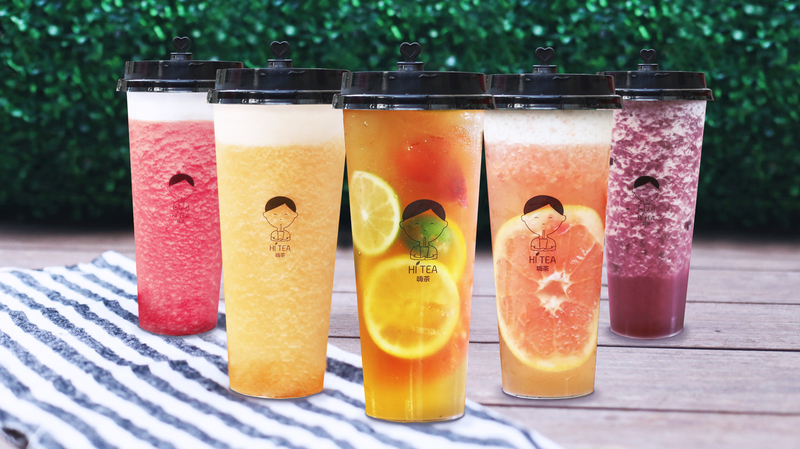 The closest to consuming and enjoying tea in these modern times is probably through bubble tea, a contemporary twist on milk tea and is usually laden with sugar and other flavours that eventually, overwhelms the actual taste of tea. I had the opportunity to speak to two out of five co-founders of Hi Tea, a local tea café concept that launched in November last year at Far East Plaza. All five of the tea-loving founders are under the age of 30, but it was the strong entrepreneurial spirit that brought them together to start up together. 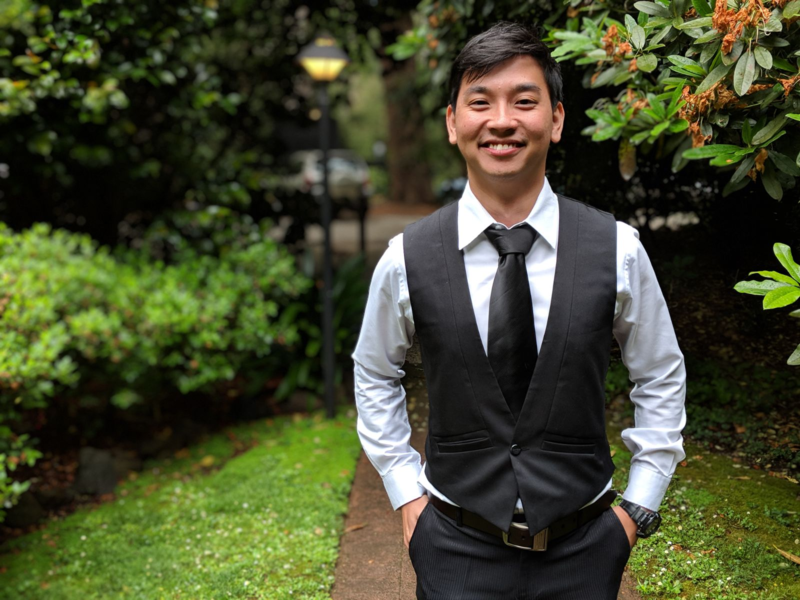 Lucas Lee, who is dubbed the “brainy one”, manages the day-to-day operations and finances. He had worked as an analyst at Citibank after graduating from university, then he became a futures dealer at Benefit Capital. In 2016, Lucas set up The Wheelers Auto with his brother and currently leads the company as Marketing and Finance Director. 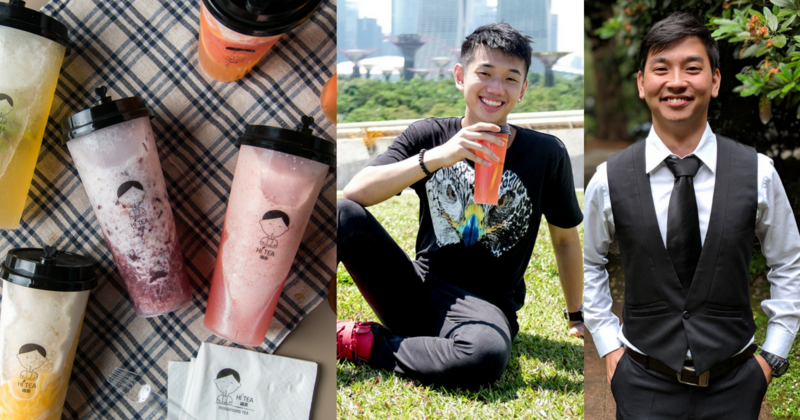 His partner, 22-year-old Darren Wu is also a serial entrepreneur, with Hi Tea being his third venture. Darren’s first foray into entrepreneurship happened when he was 15 years old, when he became a middleman for friends who shopped at Taobao. The youngest of the five founders, Darren gave up university education to start his first business, Brand New Life Foods in 2014. Subsequently, he set up Brand New Life Technologies in 2016, a wireless charging station. At Hi Tea, he is in charge of liaising with local and overseas tea suppliers, ensuring that Hi Tea gets the “best possible” tea leaves. He explained that Nick Yeo, another of the five co-founders, and Lucas were the ones who came up with the idea of opening a tea café first. “When they shared with the rest of us (Darren, Meng Yang, and Gibson), we were all very excited and wanted to come on board,” he shared. “I showed him a picture of a fruit tea from overseas and we began discussing the possibility of opening a modern tea café. They noticed that there were no shortage of cafés specialising in coffee in Singapore, but cafés specialising in tea “with the same atmosphere and quality as a coffee café” were few and far between. That trip spurred the five of them to launch Hi Tea when they found that it was “entirely doable”. 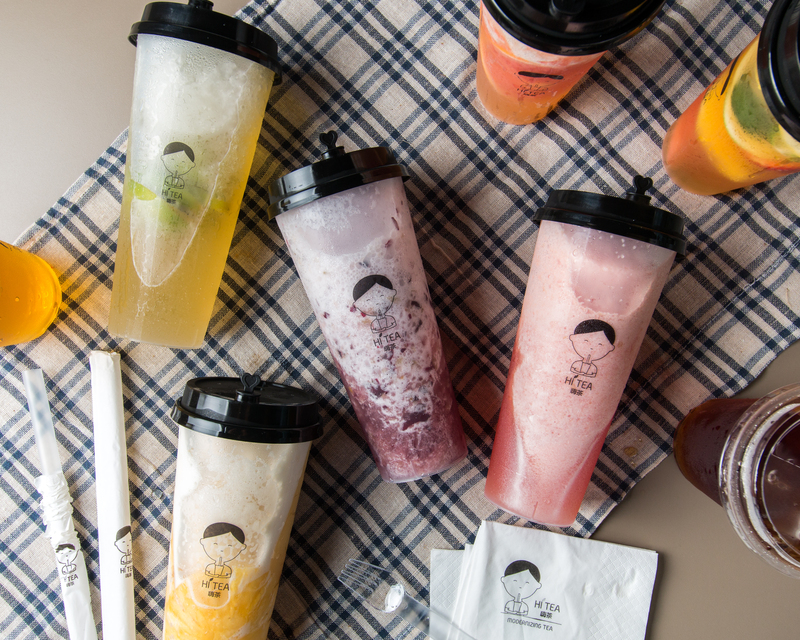 “We started Hi Tea with a vision to modernise the tea-drinking culture in Singapore. 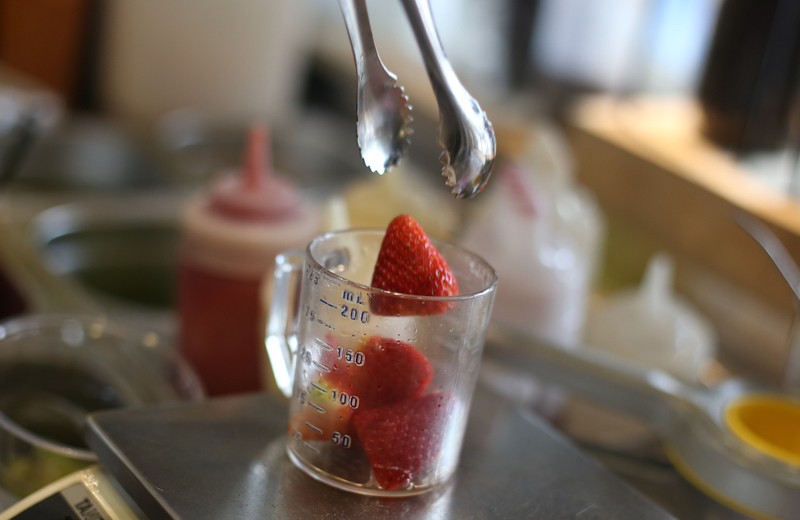 By using both fresh fruits and traditional Chinese tea, we [hope to] change [the minds of the] younger generation and bring tea appreciation to the next level,” Lucas said. Their vision to make tea-drinking sociable and popular with millennials inspired the name of their business, as Lucas explained the ‘Hi’ signified the forging of new relationships over a cup of tea. The road to launching a new business is not easy, as many entrepreneurs will tell you. “One of the challenges that we faced during our start up period was our research and development phase. It was really challenging for us having to master the different tea brewing techniques, and how each method will affect the overall taste,” they told me. There’s a saying that goes something like this: Knowing is winning half the battle. So this difficulty could be an advantage in disguise. Lucas reckoned that what sets them apart from competitors like Partea or Playmade is their investment in research and development, as well as their innovative flavours. They believe in using “contemporary brewing techniques” to bring out the distinct flavours of the tea rather than focusing on the fruits or toppings components, and keeping their vision to introduce tea to everyone in mind. Darren described that using the traditional hot brewing technique creates heavier-tasting tea. The cold brewing technique they use is done by soaking the tea leaves overnight in chilled water, which then results in a “more delicate note with a smoother, rounder finish”. 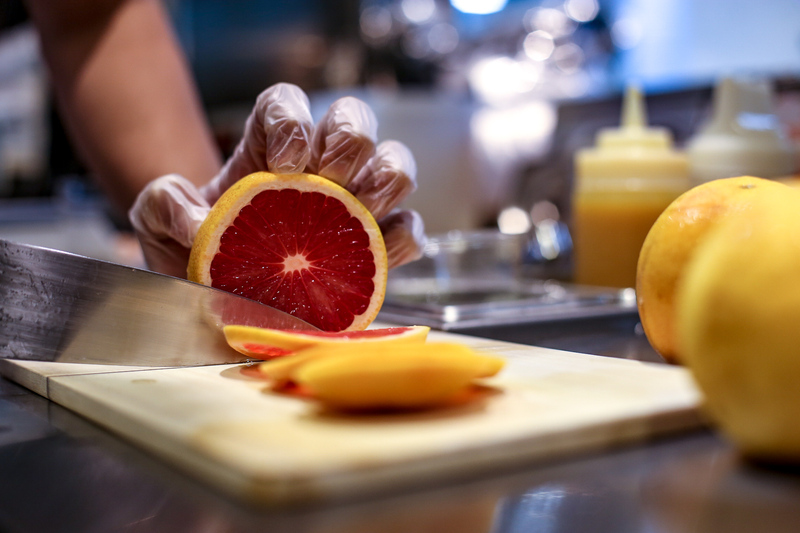 “Through our intensive R&D efforts and recipe development, we created unique fruit tea recipes that allow both the flavours of the fruits and fragrance of the teas to shine through,” he added. 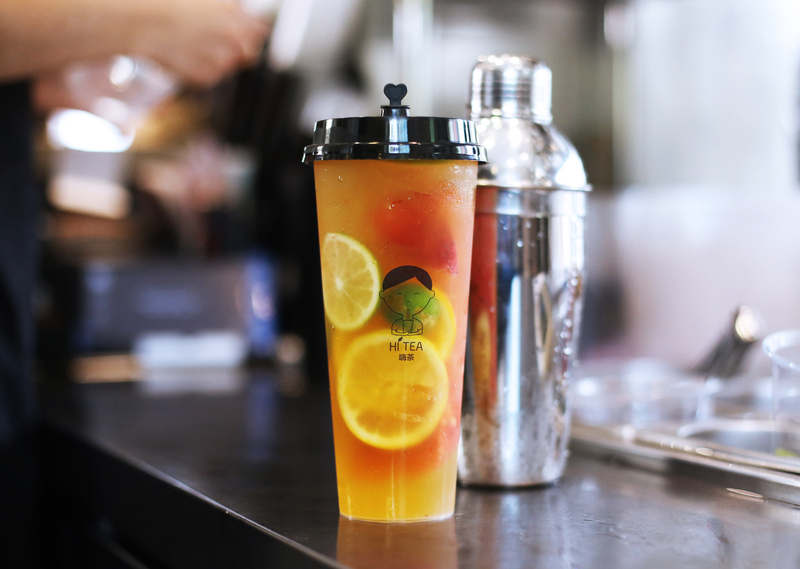 They explained that bubble tea stalls typically use pure green tea, red tea or black tea bases for their beverages. But Hi Tea uses Jasmine and Oolong tea leaves to brew the tea bases for theirs. 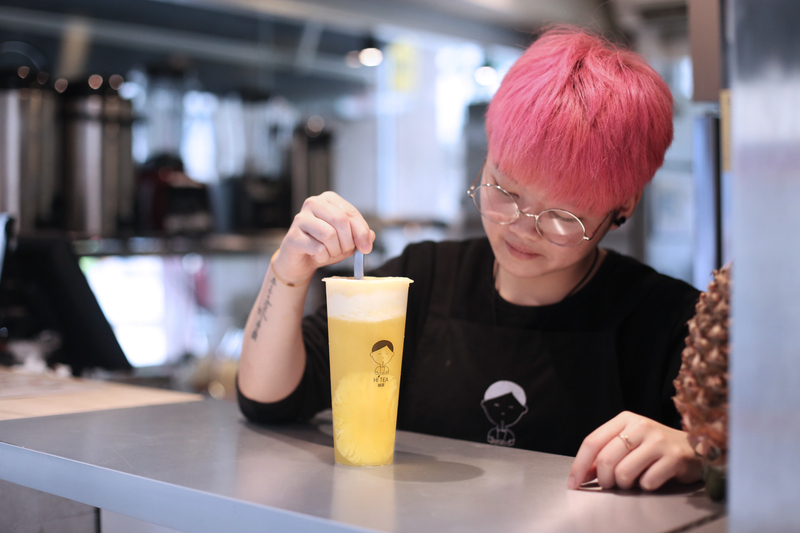 “Jasmine tea, which is also green tea, has a floral infusion to it, and Oolong tea has a ‘toasty’ taste,” they described, and they believe their choice for using these tea flavours add a “refreshing twist”. You could say they are tea connoisseurs after spending so much time learning to pair the teas with other flavours. 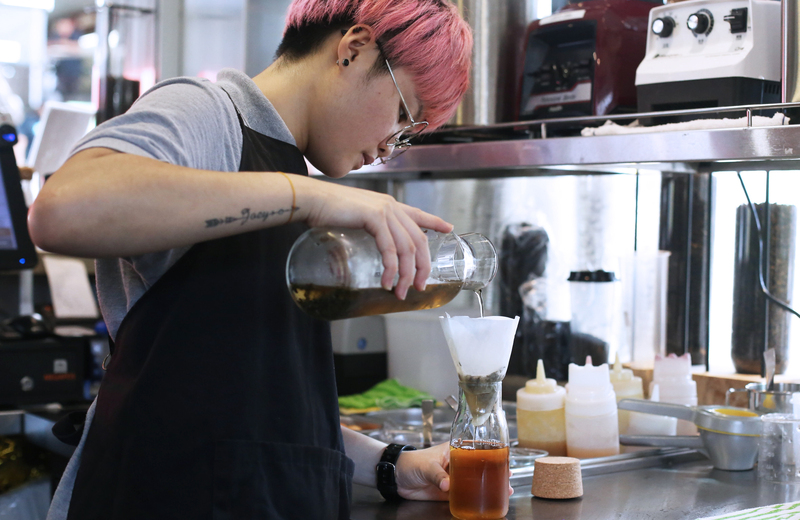 Lucas said they were “constantly tinkering” and experimenting with different combinations of tea, fruits, and brewing techniques, and were just “tasting, and tasting, and tasting”. Darren revealed that it was their determination to “achieve a perfect taste balance” and the “overwhelmingly positive responses from friends and families” that kept them going. 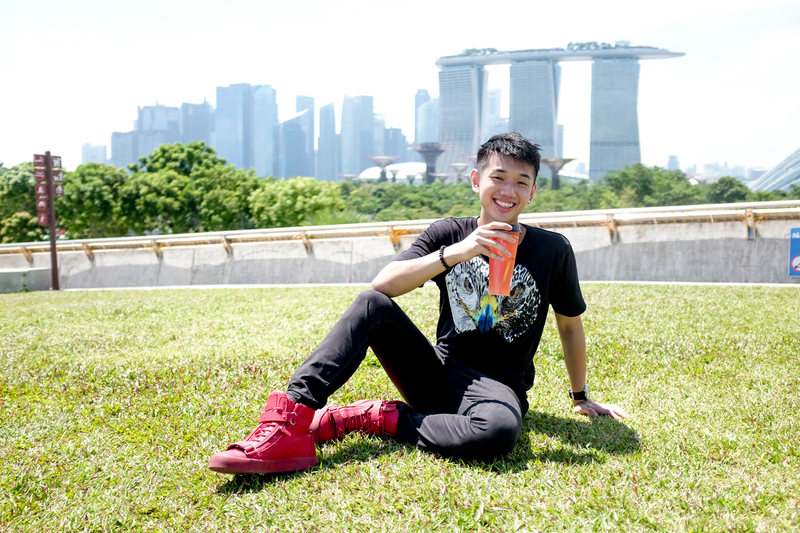 As a homegrown brand themselves, Hi Tea collaborated with Pek Sin Choo, a local tea supplier, to come up with two unique flavours. It should be noted that Pek Sin Choon is also one of their local tea suppliers. The two fusion teas born out of this partnership are the Lychee Red Tea and the Rose Pu Er Tea. 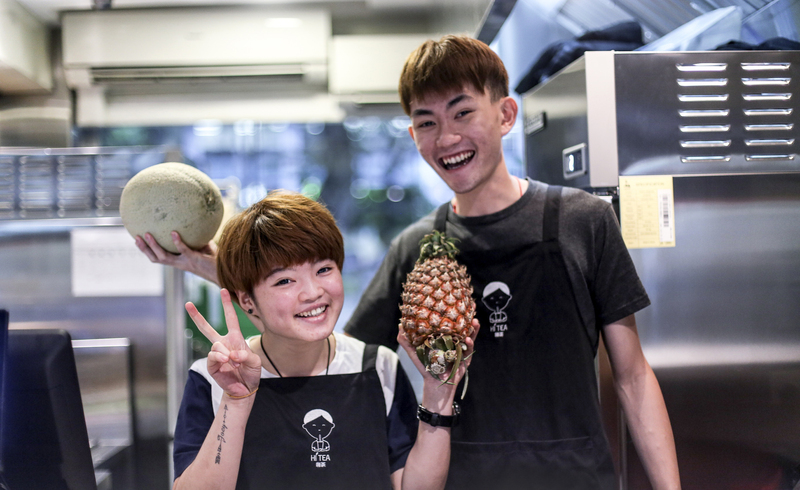 Lucas and Darren said their bestselling drink is the Mixed Fruit King, which is made up of freshly cut pineapple, watermelon, lime, strawberry and passion fruit in Oolong tea, and described as “a refreshing vibrant drink with the right amount of sweetness”. Since launching six months ago, they have sold about 28,000 so far. For someone who had no F&B experience before, Lucas only saw it as an opportunity to progress. 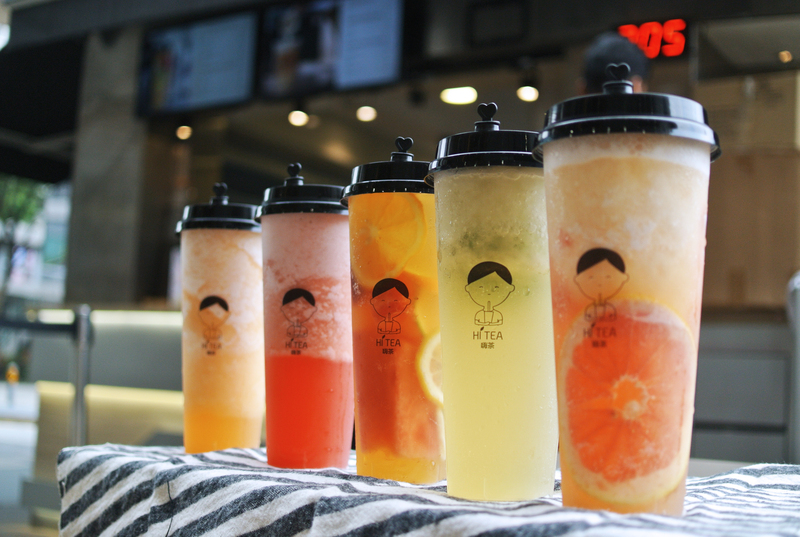 Darren revealed that they are “definitely going to create more new tea recipes and innovative drinks”, with Lucas confirming that they are launching more Oolong blends like Tie Guan Yin, floral-infused teas, and introduce Chrysanthemum tea into their recipes. 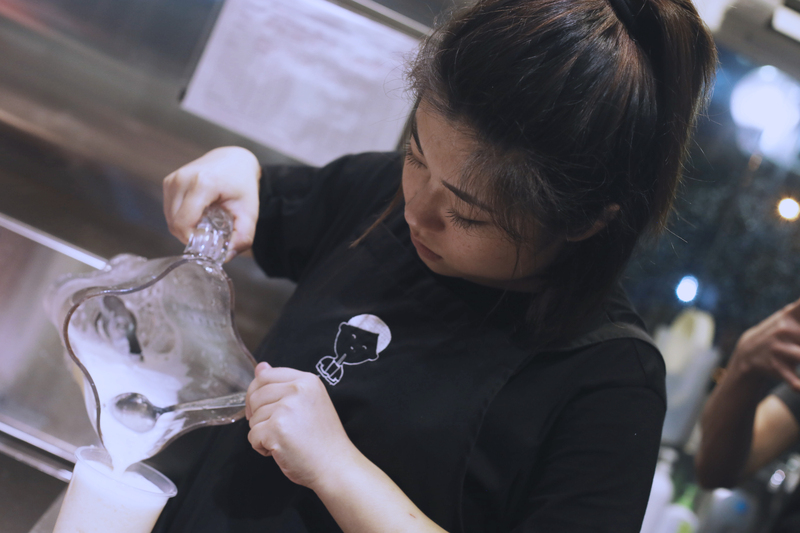 “As younger Singaporeans are more conscious about the origins of tea, we are dedicated and committed to help them understand tea making process and the source of ingredients,” Darren added. 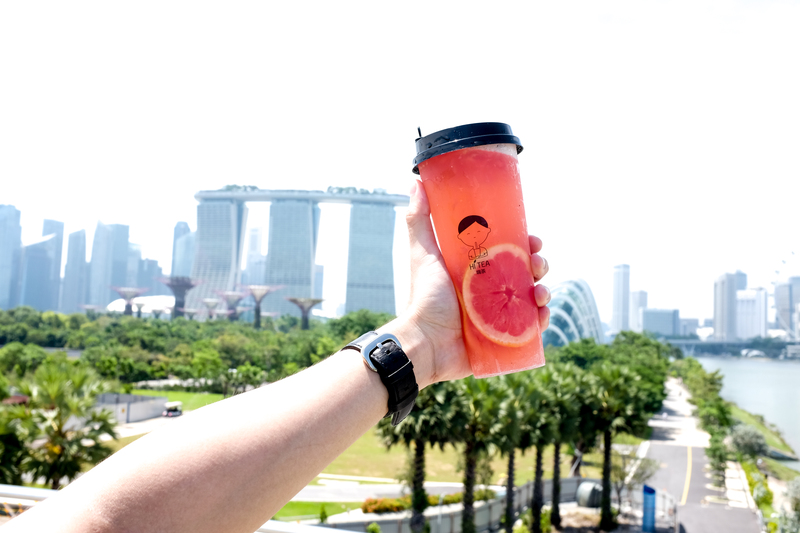 In the coming months, Hi Tea will be opening their second tea café at Northpoint City and revealing their new flavours inspired by “local fruits”. If you’re dropping by Artbox Singapore from 1 – 3 June 2018, you can find Hi Tea at Booth 56. Visit their website here for more information. ‘Like’ them on Facebook here and follow them on Instagram here for more updates.